Goodreads: Two hours outside of Washington, DC is the mortuary for the U.S. government's most top-secret and high profile cases. America's most important funeral home. To work there, mortician Jim "Zig" Zwicharowski has one rule: never let a case get personal. But when a new body arrives--of young female sergeant Nola Brown, who was a childhood friend of Zig's daughter--Zig can't help himself. Looking closely at Nola's body, he realizes immediately: this isn't Nola. Indeed, his daughter's friend is still alive. And on the run. Zig's discovery reveals a sleight of hand being played at the highest levels of power--and traces back through history to a man named Harry Houdini. "Nola, you were right. Keep running." Kritters Thoughts: This book takes place very near my house. In Dover, DE there is a place where the fallen go for them to get special treatment before their families bury them. "Zig" is known to be one of the best and can put someone back together so their family can give them the burial they wish. When a body comes in with a name he recognizes this one hits close to home and he must make sure she is taken care of completely. But things aren't as they seem and he is swept up into government lies, secrets and some drama from the past. As told above, the body that comes into his building isn't the one from his past and through an interesting note he puts himself into the investigation. I love political mysteries. Especially ones that involve the government and special projects. Reading these books make me think I am reading something I shouldn't and maybe I am learning something that isn't public knowledge! This book was just ok in my opinion. I liked the idea of what was going on, but the execution didn't always work for me. There were quite a few times where the story was just dragging and the pacing just didn't work for me. So I liked the content just not how it was presented. 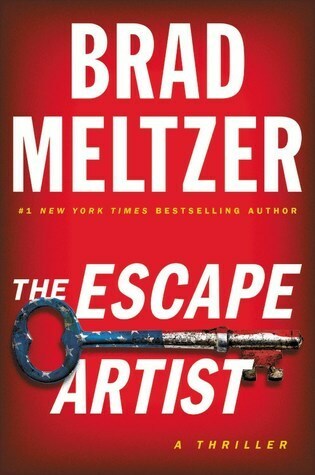 Out of Brad Meltzer's big collection of books, I have only read two, so I am not going to count him out, but I may think twice before reading the next one.